Breathing in Grace: Sweet Baby Girl!!! A friend....Ms. Mary....always calls on me when she needs a baby gift!!! 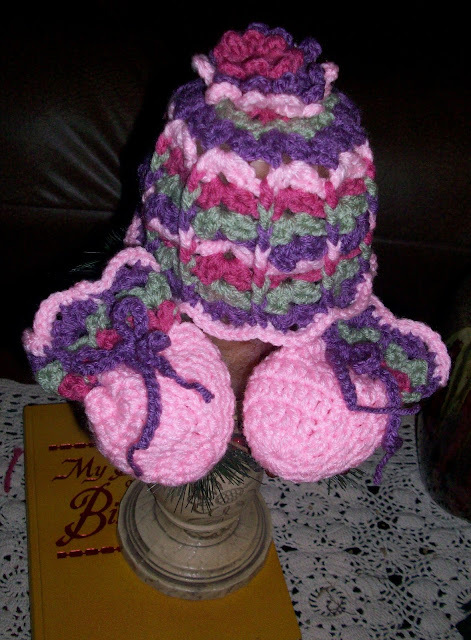 She recently let me know that she needed something for a baby girl....and here's what I came up with!!! A sweet little newborn hat and matching mittens!!! HOPE Ms. Mary does, too!!! So pretty, love your choice of colors.. This is so pretty. Ms. Mary will love it.